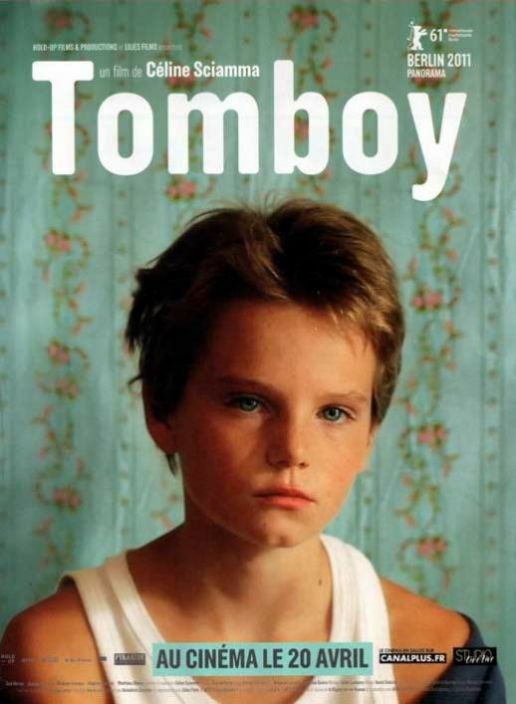 There have been countless coming of age movies made in countless different ways and approaches, but "Tomboy" is quite the unique achievement. Directed by Celine Sciamma of the previously reviewed "Water Lilies", "Tomboy" is a heartfelt look at a 10-year-old girl's summer as a boy. Laure is at that stage in her life where she looks rather androgynous, her hair is short, she wears gender neutral clothes and is trying to figure out who she is. She and her family have just moved to a new town and she is searching for a place to belong. She meets Lisa, a neighbor girl about her age, and after a moment introduces herself as Michael. Michael then meets up with a group of other neighborhood kids who also accept her as a boy. Laure's family life is quite loving and supportive. Her mother is pregnant with her third, while her father holds down a good job. She is also best friends with her 6-year-old sister. So why does she feel the need to have people thinks she is a boy? Michael keeps pushing the boundaries of how far she can go as a boy and there are a few moments of embarrassment along the way. He/she develops a pretty close relationship with Lisa and you start to wonder if she knows who he/she really is. Laure's life as a boy is kept a tight secret from her parents, but when her sister finds out, she helps keep the secret and they have a fun time with it. Michael/Laure is very protective of her little sister so when one of the kids in the group is meant to her, she takes offense and fights the kid, and wins. This prompts the kid's mother to visit Laure's mother and her secret is spilled. Determined to set things straight Laure's mother puts a dress on her and brings her to the boy's house and then to Lisa's to show them she who she really is. The mother is not angry that Laure is acting and dressing like a boy, but that she has been lying to everybody around her about who she really is. Laure is also, remember, 10 years old and is acting at the moment. Will she be like this when she is 15? 20? 30? I would think this is probably just a phase, but the film doesn't give any direct answers. It's just a short glimpse into the life of a girl and her family. The realism and acting in this film is nothing short of extraordinary. It is not overly dramatized and melodramatic, but through that acting, the characters, and the simplistic story there is something to it that makes it feel so authentic. Zoë Haren is the young actress who plays Laure/Michael and is the driving force behind its success. "Tomboy" is a good "discussion" movie. Does it have ulterior motives? Why does Laure pretend to be a boy? and many other things could be asked of it. The film has won a few international awards and can currently be seen on several On Demand services.